Some of the most interesting stories feature strong POC protagonists, which is why I’ve enjoyed reading Saladin Ahmed’s Abbott series, which features tough as nails reporter Elena Abbott. Set in 1970s Detroit, Ahmed’s comic weaves together occult and noir themes to create a political thriller with memorable characters. Abbott #2 picks up from where the first issue started and it’s safe to say there’s a mystery that needs to be solved. When it comes to decorative statues, good craftsmanship is essential, which is why I enjoy collecting them. A type of figure I’ve appreciated for some time is jizai okimono, a Japanese design that was started in the 17th century by makers of samurai armour. The words roughly translate as ‘move freely decorative object,’ and the way to describe jizai okimono is a type of highly-detailed articulated statue that has moving parts. The most common designs are animals, which is why I was excited to purchase a jizai okimono dragon created by Kaiyodo. If there’s one thing I enjoy about being creative, it’s getting the chance to meet like-minded people. Collaboration is a great way to make new connections and produce something new, whether it’s a story or a piece of art. Working with someone else helps you elevate each other, which is useful when it comes to cosplaying. The cosplay world is built on collaboration, with people making costumes, selling costumes, taking pictures and having fun together. It’s why I was excited to do a new cosplay photo shoot with fellow creatives and embody my favourite comic character. One of my favourite things about comics is the wealth of art that’s produced on a regular basis. Cover art is an essential part of a comic that can often be overlooked, which is why I write a feature called Comic Cover Corner that puts the spotlight on a single issue. The cover I’m looking at today is Scarlet Witch #10, drawn by David Aja. The art depicts the Scarlet Witch in Japan and there’s so much to appreciate about the colours, mood and the story that it tells. I wanted to combine my appreciation for food and comics together by introducing a new segment on The Comic Vault called Comic Kitchen. It features a three course meal plan for a comic character made up of a starter, main and dessert. For every meal I’ll explain why it reminds me of the character and why I think they would eat it. I’ll be including meals I’ve eaten, or recipes I’ve come across on the internet. The first character to be featured in Comic Kitchen is Batman, who’s likely eaten some of the finest dishes in the world. Batman’s complexity calls for a menu that has powerful flavours. As a writer, I’m always looking to combine my interests together and after reading a local restaurant and culture magazine by Manchester Finest, it’s inspired me to write about comics and food. Everyone loves food. It brings people together, gives them the opportunity to discover new meals and step outside their comfort zone. Superheroes and supervillains need to eat as well and there are plenty of characters who are sensational chefs. With that said, here are four of the most talented male comic chefs. Cosplaying is a fun experience, as you’re able to dress up as a character you admire and feel like someone else for a day. The cosplaying community is huge, which is why I enjoy interviewing cosplayers from around the world to showcase their work and find out what inspires them. The latest interview is with Dan Ballestero, who is known for his work as Geralt of Rivia and other gaming characters. 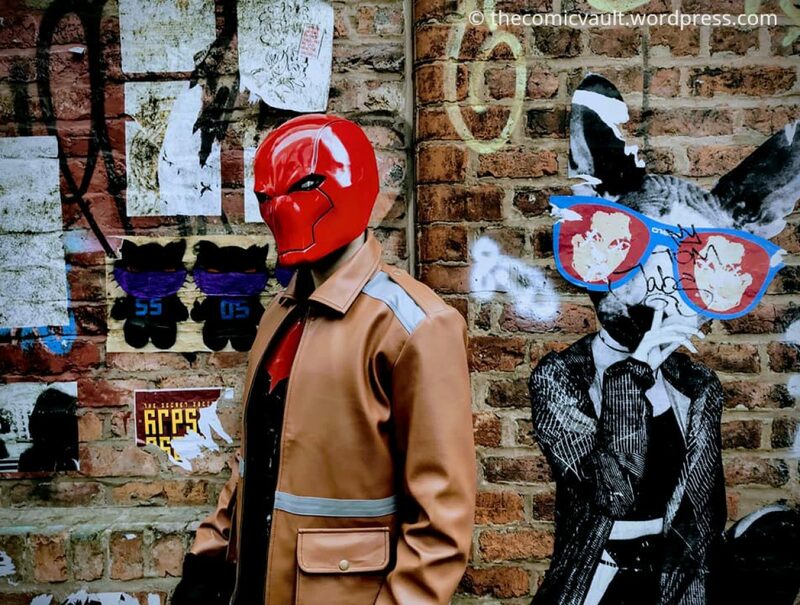 As a male cosplayer, it was great hearing Dan’s perspective on how cosplay can benefit mental health, create new connections and be an expression of freedom.